Introduction: From Cuckoo Lane (Southampton) to London’s Watlynge Strete to Canterbury, pilgrims in late medieval England carried on their persons a wide range of insignia of their visits to shrines and holy sites. From the intensely tactile, material world of late medieval English pilgrimage, many traces of these survive, such as lead pilgrim badges, amulets, and ampullae. Archaeological work has recovered thousands of such artifacts, each of which tells a multitude of stories. If we consider the poetry of Geoffrey Chaucer and William Langland, we are able to fill out the picture even further. In this chapter, I will discuss the material remainders of late medieval English practices of pilgrimage in the context of Chaucer’s and Langland’s portraits of pilgrim attire. For the late medieval person, the pilgrimage venture was not just a spiritual and social undertaking, whether on foot, on horse, or by ship. It was also, as scholars like Caroline Walker Bynum have emphasized, something involving the pilgrim’s intense engagement with the material aspects of religious belief. What do these objects, and what we now know about their uses, tell us about the cultures of pilgrimage that Chaucer evokes in so many ways in his writings? Sheila Delany importantly observes that Chaucer, in the Legend of Good Women, employs parody of the hagiographic form but does not “depreciate” hagiography itself. If Chaucer regularly incorporates anticlerical satire in his works, he also shows great respect for religious genres, beginning and ending his career by devoting himself to them (the translation of the homily on Mary Magdalene; the Parson’s Tale). 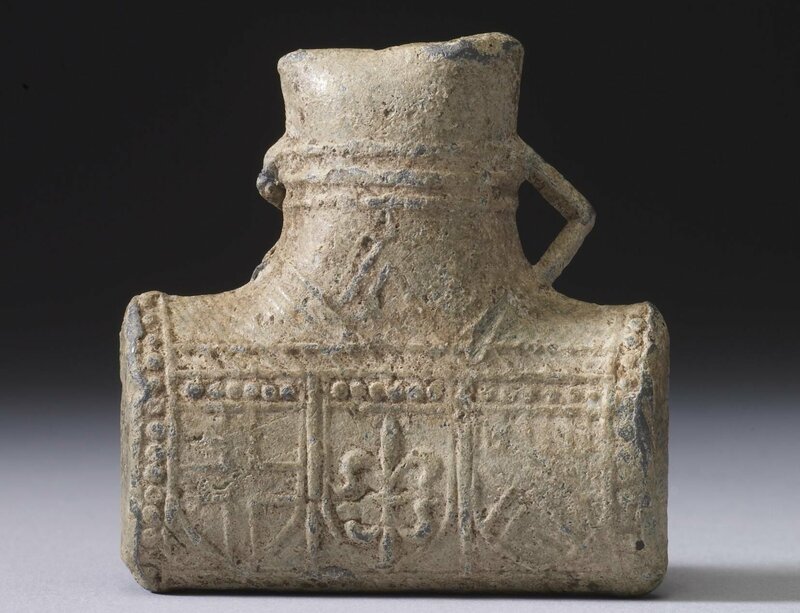 When we consider late medieval English literary mentions of pilgrim flasks and ampullae—Chaucer’s and others’—we must negotiate parodic depictions within the more serious context of the intense materiality of late medieval religious practice.